Turkey is a country which operates a civil code, notwithstanding many of its citizens being conservative Muslims. Turkey has gained some notoriety because notwithstanding being a signatory to The Hague Convention on the Civil Aspects of International Child Abduction, there have been noted examples of Turkey failing to comply with its requirements under that treaty. In respect of divorce aspects, because Turkey is a secular republic, its family law is not based on Sharia principles in contrast to many Islamic majority countries it applies a Civil Family Code. Turkey is not a member of the EU and is not an EC Regulation country. Moreover, its financial settlements on divorce are worked out in a materially different way to how the English Courts look at them. 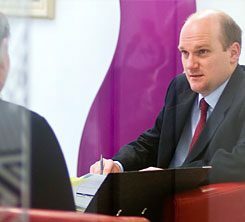 We are specialist international divorce lawyers and family solicitors and we advise clients who are either UK-based but originate from Turkey, or are living outside of the UK but have a connection with England or Wales.